Free from dairy, sugar and gluten, these cakes are not only good for you, they’re delicious too! 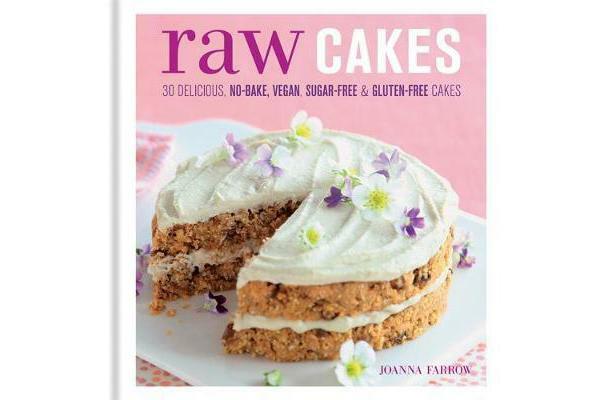 With recipes for a whole host of cakes, desserts and sweet treats including Carrot Cake with Macadamia Frosting, Salted Caramel Brownies, Raspberry, Rose and Pistachio Semifreddo and Raw Banana Banoffi Pie, this book is perfect for anyone on a special diet – even if you’re gluten or lactose intolerant, vegan or diabetic you don’t need to miss out on the good things in life. All recipes come with a taste guarantee and are easy to make from readily accessible ingredients, making for truly heavenly, healthy cakes.